In April 2018, GIFT launched its new office in Tokyo, Japan: our second office outside Hong Kong after our ASEAN office opened in Kuala Lumpur, Malaysia. GIFT Japan will not only offer its own programmes in the mould of GIFT's Global and Young Leaders Programmes, but will also cater to demands for GIFT's insights and thought leadership in the context of a rising Asia and a complex world. GIFT Japan will also establish a social development fund that will invest in opportunities in Japan and throughout the region, including those that arise from the GLPs. We are excited and honoured to be invited by our numerous friends and supporters to open an office in Japan and contribute to addressing some of the challenges facing Japanese society through our stated approach (Honest Inquiry, Asia's Worldview and Ideas to Action) and our tried and tested methodology on leadership development. We aspire for GIFT Japan to take the lead on numerous initiatives that will drive GIFT's objectives both in Japan and across the wider Asia-Pacific region. A new fund, operated out of the GIFT Japan office, will help to source financing for the socially responsible businesses created through GIFT's many programmes throughout the region. The Fund will also look for other opportunities to invest in social enterprises in Japan and the region. GIFT Japan will launch the inaugural Japan Young Leaders Programme in 2019. Modeled after similar programmes in Hong Kong and Malaysia, the JYLP will give Japan's young business talent from leading Japanese organisations the tools to lead with purpose in a complex world. GIFT Japan will launch an inaugural conference (date to be confirmed), bringing together prominent Japanese and regional thought leaders and opinion-makers to discuss Japan's future challenges in the context of global shifts, and the political, social and business opportunities that lie in tackling them. 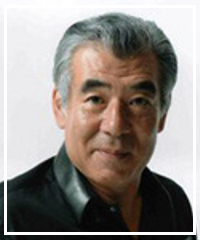 Akio Makiyama is internationally-recognised for his achievements in organising and producing global projects in the domains of business, politics and culture. He serves as the Chairman for the Forum for Urban Development, a Governor of the ULI Foundation, and an advisor to several international organisations. As Chairman for the Forum, he organized large-scale public-private partnerships, launching over 20 major projects globally. Before founding the Forum, Makiyama served as the New Liberal Club's policymaker for foreign affairs and urban development, and for Mitsui & Company, where he helped develop major undertakings in the urban and culture areans, including the 1970 Osaka World Expo. Hideaki Takahashi has been teaching Internet Business Design and Global Business Management at Keio University Graduate School since 2006. Prior to his teaching career, he served in multiple executive positions at Fuji Xerox, FX Palo Alto Laboratory, AT&T and NCR Corporation. 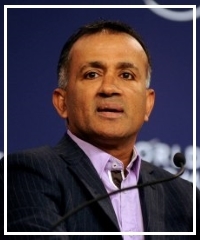 He currently serves on the boards of ORIX Corporation and Fukuoka Financial Group in Japan. Prof. Takahashi also serves in multiple non-executive, non-profit capacities including the National Science Museum of Japan and the Tangible Earth Society. His interest is in supporting and coaching young people starting IT ventures and social businesses. 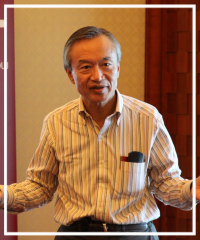 Prof. Takahashi is a senior mentor on the GIFT programme, joining over 20 programmes since 2011. Chandran is the founder and CEO of the Global Institute For Tomorrow (GIFT). He is the author of the best-seller - Consumptionomics: Asia's Role in Reshaping Capitalism and Saving the Planet. His photo book project The Other Hundred aims to provide a counterpoint to the mainstream media consensus about some of today's most important issues. Chandran frequently speaks at major global gatherings such as the World Economic Forum in Davos and APEC where his thought leadership is sought for its fresh insights and intellectual honesty. He was the Chairman of Environmental Resources Management (ERM) in the Asia Pacific until 2004 and established it as the leading environmental consultancy. For more than a decade he has championed the cause of sustainable development. Download full bio. GIFT has been fortunate enough to have been supported by many Japanese companies throughout the years. We launch GIFT Japan with the hope of deepening our relationship with these trusted clients, and finding new partners in the world's third largest economy. The Global Institute For Tomorrow (GIFT) is a Hong Kong based independent think tank and executive education provider focused on advancing a deeper knowledge of global issues. These include the shift of economic and political influence from the West to Asia, the dynamic relationship between business and society, the role of the state and the reshaping of the rules of global capitalism.